The attorneys of Lafferty, Gallagher & Scott, LLC handle all types of personal injury claims, from auto accidents to complex claims of medical negligence and product liability. 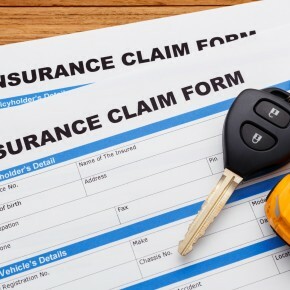 Auto accidents are the common type of personal injury claim we handle. Any accident causes anxiety and confusion, especially if it is your first accident. What you say and do after an accident can be very important. Below are some tips you can follow if ever in an accident. We recommend that you keep this information in your glove compartment so that you may refer to these helpful guidelines during the stressful, confusing aftermath of an accident. 1. DO call 911 to report the crash to the police and request an ambulance if there are injuries. 2. DO exchange information with the other driver (s). – Name, address, contact details. – Auto insurance company and policy number. 3. DO get the name, address, and contact details of all witnesses. 4. DO take photos of the scene and the vehicles involved. Later take photos of any injuries. 5. DO speak ONLY/ to the police about the details of the crash and what happened. 6. DO report ALL injuries and symptoms to EMS personnel no matter how slight they might seem at the time. 7. DO follow-up with your doctor and follow his or her advice regarding treatment. 8. DO report the accident to your auto insurance company. 9. DO seek the advice of a personal injury attorney to determine if you need representation. 1. DO NOT admit responsibility for the accident. Speak ONLY to the police about the facts and do not offer any opinions to anyone. 2. DO NOTgive any insurance information but your health insurance to EMS, emergency room or other health care providers. You may be pressured to supply information about your own auto insurance or the other d river’s auto insurance. DO NOT GIVE THIS INFORMATION. 3. DO NOTwait to get medical treatment if you are injured no matter how slight you believe the injury to be. Get checked out. 4. DO NOT give a statement to the other driver’s insurance company. 5. DO NOT sign a medical release or any other document for the other driver’s insurance company without first seeking advice from a personal injury attorney. We hope you find these general suggestions helpful if you are ever involved in an automobile accident.